Faith Carmichael was born in 1933 and grew up in Washington, DC. Her father was Chairman of the Civil Service Commission during President Dwight D. Eisenhower’s administration and he also worked with President Franklin Delano Roosevelt. She moved to New York City for high school and then attended Radcliffe College in Cambridge, Massachusetts. After graduation, she moved back to DC where she taught history and worked with orphanages and settlement houses. In 1958, she married a Princeton economics professor, Bill, who later became a Vice President at the Ford Foundation. Faith followed him on his career path all over the world, including an extended stay in Brazil. Upon her return from Brazil in 1972, she settled in Connecticut to focus on bringing up the children, community commitments, and teaching piano. In the early 1980s, she decided to go back to school and attended Yale Divinity School for three and a half years receiving a Master of Divinity degree. She was particularly interested in theology, spirituality and the history of ideas. She was ordained in the United Church of Christ (The Congregational Church). For many years, she worked at the Yale Divinity School with Spiritual Formation and Spirituality. In the 1990s, she continued her education in New York City with theoretical and clinical training in Pastoral Counseling and Pastoral Therapy. 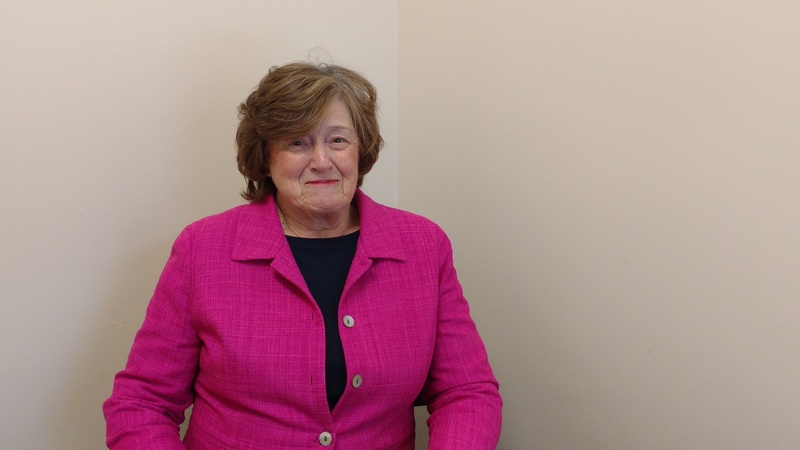 Faith has three children, two in Connecticut and one in the Seattle area, as well as five grandchildren. Faith's father's family is from Van Hornesville, New York and that is where she spent her holidays growing up. She recently retired to Van Hornesville. She is involved in the area, both with the Presbyterian Church and the Calleo Workshop for Performing Arts. The Calleo Workshop teaches young and adult singers to be better singers, performers, and musicians through voice studies, recitals, and short opera performances. It also helps young people with auditions and applications for conservatory. In Van Hornesville, Faith participates in large family reunions which happen yearly in August. These reunions involve musical performances and a square dance. Her family has always invested in the Van Hornesville community, especially her grandfather, Owen D Young, an industrialist, businessman, lawyer, and diplomat. He founded RCA, a GE subsidiary. He built Van Hornesville’s school as part of his dedication to education. I interviewed Faith at the New York State Historical Association library shortly before Thanksgiving in 2016. Our interview ranged from recollections of her early life in Washington, DC to her current involvements with the Calleo Workshop. 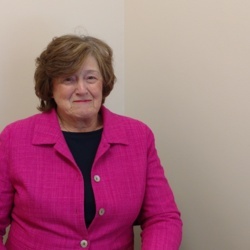 She was among the first women on staff at Yale Divinity School, so we discussed the challenges of being a woman at Yale and at college (Radcliffe was an all-girls school, but classes were coeducational at Harvard). We also talked about the importance of music throughout her life, as well as the importance of spirituality and theological studies. Faith is particularly concerned about her family and community and we talked about her future hopes for her family and Van Hornesville. She speaks slowly and her speech is very clear and easy to understand. Faith has heavily edited her transcript before it was published on CGP Community Stories. I encourage readers to consult the audio as well, to hear her speech patterns and how she originally phrased her answers. 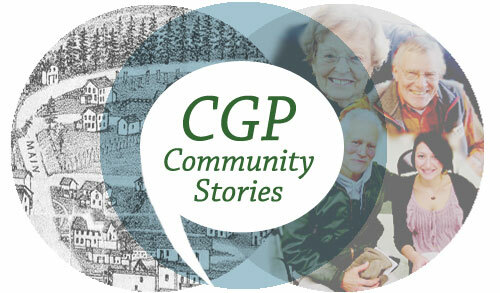 This is the November 22nd, 2016 interview of Faith Carmichael by Amanda Berman for the Cooperstown Graduate Program's CGP Community Stories project, recorded at the New York State Historical Association library. Faith, you told me that you grew up in Washington, DC, really close to the seat of government. What was that like for you? It was very interesting, because of my father's job; we had many different people in the house for dinner or just there for discussions or visits. That's impacted my interest in people all my life. I had a sister also, a few years younger. We lived right across from the Washington Cathedral, which was an interesting place to explore. I went to cathedral school for a number of years, through sixth grade. They had many services there and many dignitaries from the U.S. and other countries, and that was part of our life as well. You went away to school, and how had things changed once you came back? I moved away for high school and college. When I returned I was older; it was a different life for me than just the neighborhood. The cathedral neighborhood that I had grown up in was just that. We learned to ride bicycles; we were free to roam around, which isn't so true of children these days. When I returned from college and during college years, after going to high school in New York with the family there, my father had a government job with President Eisenhower. I found living in that household much too complicated, because of security guards all over the place. I decided to go live in Georgetown with a group of young women. I had a job and they had a job, and there were other houses in Georgetown filled with young women, and other houses with young men. We had a wonderful time for several years. It was a lot of fun. During that time, I was able to visit the White House because my dad and Eisenhower were good friends from Columbia University days, when Ike had been President there and my dad had been Dean at the Business School. I was once again able to visit the White House and swim in the pool, which was fun, but, looking at it through the eyes of someone who was 20 years old instead of a young girl, was different. To go back to the first time, my father worked closely with [President Franklin Delano] Roosevelt. When I was five years old, my mother was helping run the volunteers at the Red Cross in Washington. I had the opportunity to go to the White House and enroll Roosevelt in the Red Cross and sit in his lap, and there are photographs of that. Harry Hopkins, who was a well-known aide to Roosevelt, had a daughter, Diane Hopkins, who was a few years older than I was. I always went to her birthday parties, which were held in the White House, and played there at other times off and on. Those are two experiences from years ago that I remember vividly that were fun. I could tell many more stories about Washington and college time. Because I went to the cathedral school during those childhood years – I was born in 1933 – most of my childhood was impacted by World War II. I remember well Washington times during those years. We would have air raid drills in the cathedral school. We would be marched into the cathedral and shepherded through a door in a wall down a narrow stairway to the sub-crypt, which for me, particularly when I was very young, was quite terrifying. Down there, we had water and bedrolls and would spend hours being read to. This was during the air raid times, of which there were quite a few. It wasn't until recently that I started having memories of childhood in relation to what it was like, during the war years. I had just blocked them out until recently, meaning that there was a certain amount of fear there. My sister and I would sit on the stairs of our house and my dad and mother had access to news films, which in those days were very few. You didn't go to theatres like you did about 10 years later to look at news films. Of course, there was no television. My sister and I sat on the stairs and would watch some of these films that were coming in from elsewhere in the world that were war films, basically documentary-type. It was terrifying. No one knew we were there and so there wasn't anyone to talk to either, because were being bad. I remember the streetlights being painted black and the black shades on all the windows that had to be pulled down at a certain time, and the air raid sirens. I remember the juggling of ration points. My mother and her friends would trade back and forth. If someone wanted guests for dinner and wanted to have beef dinner, they would borrow points from friends so they'd have enough to feed four or six people for that particular dinner. Times weren't easy and I'm sure many memories I have just pushed away. It seemed like because you were so close to all of the action, you have a lot more vivid memories than maybe somebody else. What was your relationship with your parents like, since they were so involved in government activity? They were heavily committed to activities outside of the house. We had people in the house, usually one person there whom I would call a housekeeper; she kept an eye on us so that Mother could go out to events or meetings. During those years, I didn't really learn how to cook, for example, and also life was simpler. The washing machine was one of the crank machines, so someone came one day a week to do that. Someone came once or twice a month to do the sewing, and someone else turned up to do the ironing another day. There were other people around and the house was quite big. Also, Mother was very committed to music and we had a large grand piano, a Steinway, and both my sister and I took piano lessons. That piano teacher came to the house on Saturdays and taught other people out of the house as well. We bought a second piano and did a lot of two-piano playing. My sister and I put together, with people in the neighborhood, plays and little musicals, so even though some parts of our life were scary and austere, we were children who could play quite freely around the neighborhood and do this kind of play that I'm talking about. You've always had music in your life. Has that characterized your involvement with music today? It was certainly part of my life from the start, with the teaching in the house and so much music at the Washington Cathedral. There was a residential boys choir school, an excellent organ, and many different kinds of concerts. I spent a number of years studying the piano and also singing. Then when I went to college – which was at Radcliffe, and in those days, even though it wasn't part of Harvard, our classes were all at Harvard – I sang with the Harvard-Radcliffe chorus group all the way through college, for four years. That wasn't enough, so I started a madrigal motet group of students and professors. I had a set of handbells and I started a handbell group, which was a mixed group of Harvard and Radcliffe. That was very successful. I'd been given a set of handbells when I was in school in New York City, so I had already worked with those, with different kinds of music and teaching people. When I left there, I took the bells with me to college and the school bought their own set, quite a large set. In college, I majored in history and had a minor in music. When in high school, I did a lot of singing and also modern dance, so it's been an important part of my life, both music and also history. I love history; I like to read historical novels and explore historical places. Can you describe some of the successes or the challenges that you've had in your current musical productions or working with children in music? I started to teach piano... I'm trying to think which year. I wasn't immediately out of college; it was a number of years later, probably about ten years later. I started to teach piano in Connecticut. I started it as group piano in a Baldwin Piano electronic piano studio with multiple keyboards and a master keyboard. This type of studio was just starting and Frank Pace in New York at Teacher's College Columbia was successfully starting a teaching program of group piano. I fit right into that and enjoyed it very much. I also taught individual piano lessons. I felt strongly at that time that not only was I preparing some students to move on to conservatory or college, but I also wanted to prepare students to enjoy music, and be able to play the piano for accompaniment for folk songs, and for pleasure for themselves and others. I've always been interested in the history of music and during high school wrote a very long research paper and was on U.S. History through music and folk songs. That's continued to be an interest of mine. One way or another, I've always been involved with music. As a child, we would usually spend our holidays up in Van Hornesville, New York, near Cooperstown. I particularly remember the Christmas to New Year holiday time period. There were eleven of us cousins and I had several aunts and uncles. We were involved in a lot of music. Everyone played an instrument and they were supposed to bring them, even if it was a tuba. We played recorders as well and we sang a lot. That was part of what we did, as well as enjoying sledding and ice skating. We also put on plays, so there was tremendous amount of creative activity. When it comes to my own family, I have three children, who are adults now, and I have five grandchildren. The expectation is that everyone's going to be involved in music in some way - play an instrument, sing. My daughter played the cello, she played the piano, and she sang. My oldest son ended up playing the trombone, which meant he played with jazz groups. My youngest son is a musician – piano is his instrument – and he is a composer. I was teaching piano during all that time period. What's evolved over time is five years ago I started to spend half of each week up in the Van Hornesville-Cooperstown area to look out for my 93-year-old uncle, and I ended up retiring up here full time. I met Patrick Calleo, who had already been teaching voice and offering productions such as Amahl and the Night Visitors for eight or ten years. So, we combined and Patrick started the Calleo Workshop for Performing Arts, which we operate outside of the school system. This is focused on teaching local singers to be better singers, performers, and musicians. The focus is basically vocal studies and performance. It's a general training program with lessons and classes and recitals. We've expanded out to offer music theory, and sight-singing, and I'm teaching piano, and vocal technique, and working on performance skills. We try to teach the students, who are young people and also adults, through their roles in short operas or opera scenes, such as Amahl and the Night Visitors and Hansel and Gretel. This has worked quite successfully over the last five years. Geographically, we are spread out. At one point, I looked at the list of schools these young people were coming from and it was six or seven schools one winter for the production of Amahl. We've had a good success rate in that we've prepared some for conservatory who want to be professional singers and we've had others who've dropped out who have felt they wanted to spend more time doing other things. What I'm describing is the program, and our expectations, which demand tremendous focus and a lot of time. These schools, because of budget cutbacks for the arts, are not offering what we're offering now. Their focus is on the musicals and chorus, for the most part. We are committed to taking these opera productions into the schools and we have done that with some schools, and now expanding with a more intentional program that I would call educational, to teach students in the classrooms about opera and some of the history. I remember in one school, the teachers in several history classes and English classes, on their own initiative, did do some work with the historical time period and related literature. We're quite excited about expanding in this way as well. While I wasn't heavily involved in music for a time period of my life, it has certainly been there for me and I've enjoyed playing the piano. What made you so passionate about music education, particularly for these young people you're working with now? I've always been interested in music education or education in general and now I think it's important to learn about opera. Patrick is an opera singer who's now moved into retirement but is teaching. We feel strongly that we need to educate children about opera. We have Glimmerglass Opera here in the Cooperstown area, which makes it even more important. We have given some opera tickets to students, and one school in particular, with the idea of expanding to give them the opportunity to go to a Glimmerglass opera or to go to one of the HD Metropolitan Opera films, which are being offered in Oneonta and Albany. So there's a lot to be done. Our group with this program is Patrick Calleo, who's the voice teacher, and myself with piano, and Craig Morrow, who's teaching piano and is the accompanist, and Fiona Peters, who's teaching theory. So our group is also expanding. There's a lot to talk about with this program. Any questions that I could answer? Yes, I wanted to ask about currently how you feel that this program is going. Do you feel that it is successful? What are your hopes for this program? We feel it's been successful and we have had on our minds the idea of turning it into a not-for-profit program. We've decided it needs to be stronger before we do that, because to develop a not-for-profit program is complicated and has some heavy commitments to it. Some of our students have gone on to conservatory. We've helped them with the applications and with auditions, which is quite involved. As I was mentioning a while ago, some others have dropped out, saying that they don't have enough time to follow through with that, or they're going to follow something else. You also mentioned that throughout your childhood, you had a lot of music in your life and you mentioned your holidays in Van Hornesville. That's another thing I wanted to ask about. You had mentioned earlier that you had big family reunions in the summer. Can you talk about what those are like? Our family clan is very large. Let me give you a little history before I explain why we've developed an annual August reunion with a square dance. The family clan is spread out all over the country, but they do come back to the area in the summertime. We decided if we had one weekend in August each year, people could focus on that and choose that date to come back. One part of that weekend is a square dance. My father, when I was tiny, loved to call square dances. We've had that going on at the home farm in Van Hornesville, which my sister and I took over from my father. That's been going on for years. That's quite a draw, and now we have several generations returning, a lot of people. We're usually about 75 to 80 strong. Some in the 20-something generation are buying houses and building houses – as holiday houses, because they're living elsewhere – but they return at that time period each year. We're starting to incorporate more of what I grew up with that was so important. Each of us played an instrument; we sang a lot. Every summer, there was a family show at Labor Day time and we were free to contribute what we wanted to that. It could be a dance, it could be a composition, it could be an artwork; it ran the gamut. We're starting to put that into place now again. Growing up, one of my uncles ran a publication that came out whenever the largest number of family members was around, Christmastime or summertime, Labor Day or Fourth of July. We were expected to contribute to that, which would be a piece of writing or art. That we've not started up again, but I suspect it will be. The family likes coming together. They feel strongly about the roots in Van Hornesville, because our family has, since my grandfather's time, been interested in the community, developing it and making it a nice place to live. Our family has continued with that commitment and interest. Way back in the beginning of the thirties, my grandfather built a school in the village, a beautiful school made out of lovely rock. That still runs as a K-12 school, a school we're all very interested in. It has been a small rural school, but it's held its own over the years. When the family comes back, they too have an interest and commitment to the community and the school and the town. It's important that they stay with this commitment and interest. My sister and I inherited the farm there from my father. My grandfather, Owen D. Young, was born on that farm. It's about 500 acres. Part of my life always, since being a small child and spending time there, I was very connected to the farm. I love the country; I'm interested in farming and the animals. With a farm that size, it was a challenge to keep it operating and we've kept it operating one way or another as well. That's been an important part of my life. What are some of the other efforts that you've had to keep the family together? We've tried to stay in communication. I think more needs to be done with that. We have, through a website, tried to keep the family at large – meaning every generation – informed of what's going on in Van Hornesville. That's been a center for us. It will be interesting to see how this goes forward. I'm of the opinion right now that there needs to be an ongoing family clan newsletter that someone in the family handles. That obviously would be from a website. Okay. I also wanted to ask about the reunions that you remember when you were growing up. You talked mostly about the current ones, but when you were younger. Well, it wasn't reunions so much, it was that my father had several siblings and they all had houses in the village and we had the old farm. Because many of them were involved in the educational world, they had that kind of holiday system. Those times would be spent up in Van Hornesville. To go back to those Christmas ones, the ten-day Christmas-New Year period, not only were we gathered together for the activities I was talking about, but my grandfather saw to it that we gathered most nights for dinner at his house in the village. That made a tremendous difference too, because we were all together, and there was singing and music and games. A reunion that was organized of the kind that we have now, every August for instance, didn't have to happen then because the family had so many different houses. How do you feel about different members of your family living all around the country? Well, let's look at my own immediate family. I have a daughter and son in Connecticut and another son out in Seattle. He comes back with his family every August for this reunion time and spends about two weeks. I don't like the distance between the two coasts. It's a major effort to get back and forth for all of us, major effort and expense. Though I'm well aware times have changed. Most of the families I know are scattered all around the country and this is just the way it is. Let's take my son out in the Seattle area with his wife and the children. They've gotten to know, and created, a community – at least one if not more – with friends, fellow sailors, or their friends from church. So what I've seen happen over these years is if that family community isn't living close together (I know in this area here many families do have family members close together), then the younger people seem to try to create their own communities where they are, which I think is very good. But it means that when families come together, it has to be planned and there's a major expense. A lot of my family clan are in California. That's two coasts, a great distance. But now more of them are at least getting summer homes back in Van Hornesville, so how do you feel about that? Well, I'm very glad. Babies are arriving and now there's a need for more housing. They like the country and getting away from a city or a suburban area. Moving a little bit away from that, I wanted to touch on your ministry work. I wanted to ask about what made you decide to go back to school and study that. Let's start with the school part. Throughout my life, I have really enjoyed learning. That goes on to this day. I had also, over the years, been heavily influenced by where I lived. Living across from the Washington Cathedral and going to the cathedral school through sixth grade had tremendous impact. Then, when I was in college, I would go out with several other students to small churches throughout New England and run the church services and the potluck supper and whatever else happened between usually a Saturday morning and a Sunday afternoon. There weren't any clergy people and ministers to serve those churches. When I was involved in the piano teaching, I was also involved in a local church with various activities. I realized that I was very interested in theology and wanted to pursue a vocation in the ministry. So, I started looking around at different schools. I ended up going to Yale Divinity School. I tried to continue the teaching at the same time and discovered I couldn't do that and be a student as well. The demands were too great, so I had to let the piano teaching go and was at Yale Divinity School as a student for three years. I’ve always been very interested in theology and ideas, and much of my history focus in college was history of ideas, intellectual history. While at Yale, I had a heavy program of theology and fulfilled all the other requirements. There’s a heavily academic program in a university like that, but there was the practical piece. We were required to have internships of one kind or another. I interned at a monastery on the Hudson River for a year because I was interested in running retreats and also very interested in spiritual formation. As I've described, it is the coming together of theology and scripture and the practical aspect of how one lives life, meaning prayer, activities and just how a person is centered to live. I stayed on at this Episcopal monastery of men to work off and on part time. Several times a year I was there running Elder Hostel programs. I worked there about eight and a half years. I carried that commitment of the Elder Hostel along with whatever else I was doing. When I finished Yale, I didn't leave. I started to work there with spiritual formation with students, and to get that program into place at the school, which they hadn't had. It was a time period where there hadn't been any women on the Divinity School faculty, but the Dean of Students was a woman and then two women came onto the faculty. It was a very interesting time period with this shift. I stayed on there and actually worked one way or another for 23 years or so. This was particularly in the spiritual formation area and history of spirituality. I did a lot of group work with the goal to combine the academic studies with the practical work. I've often described it as similar to medical school education, where the academics are learned but the medical student has to do the practical piece too. That also includes the personal development of the student, with prayer-life and personal commitment, who he or she will be when they leave in three years. I liked the work; the students were interesting. I often was teaching students who were doing dual degrees with divinity and law, or divinity and medicine. Sometimes, CEOs from business companies would come for a year or two years there. It was very interesting. Any other questions about that? I could talk a lot about all of that. When you were at Yale, you were one of the few women on staff. What was that like? I had already gone to Radcliffe; I had my college education basically at a men's school at Harvard, as Radcliffe was part of that. I had a couple professors there who didn't call the roll call for the women, because they didn't want them in the class. I use that example because when I found myself at Yale with this shift with the numbers of women students increasing, I had a background in the educational world where I had to, to some extent, fight my way through a similar shift. [A portion of the audio and transcript was removed here by the narrator.] Instead of leaving to go someplace else where it might be friendlier, there are times when it's important to stay in the midst of the fray, just stay put and try to fight your way through it and make your presence known. That's what happened. I was very heavily involved in the spiritual formation part of the program at Yale Divinity School. Two women came on the faculty and one was Dean of Students, and of course it's been on the increase ever since. Another development during that time period when I was working there was “inclusive language.” It was a major challenge where we had to shift from the language in the Scripture that talked about "he" or "him" all the time, or "men," to a word that would be inclusive. It didn't mean either male or female gender, it was general. That wasn't easy, and to this day I still find it challenging, sometimes. I would go to read a Scripture passage at the school in those later years with a piece of paper that had the word that I was going to have to use into what I was reading or speaking. That was a major change, but it was part of the same scene that you were just asking about. It wasn't just the presence of women, language was being changed. Did this end up impacting other parts of your life or throughout your career? I was wondering if you as a woman with a career… When we talked earlier, you called yourself a "bridge woman." I thought that meant bridging the gap between being a housewife and also having a career, so I wanted to know what that was like, not just at divinity school but throughout your life. I was fortunate to grow up in a family that greatly respected women and women having major interests and some of them developing careers. It wasn't until I left my family and, I would say, probably started in college, that I realized the difficulties out there for women. I had been quite sheltered and naive about that. These days, I often will ask people, "Well, what was your family like? What did your mother do?" or "What did your sisters do?" because it tells me a lot about people's attitudes particularly amongst older people and how much they've thought about the changes for women. [repeats interviewer’s question] How has it impacted it? Well, I've had to stand my ground and fight my way off and on over the years as a woman, but there have been a lot of supportive people along the way. I think that the men who have been really supportive are the ones I've worked with or have chosen to work with, as teams, at one time or another, as a twosome or a small group. So I've been fortunate that way. I don't know quite what else to say about it. When I say "bridge woman," you brought that up, and I like that term, that the expectations back in my time, in general, for people I was with most of the time, was that the women went to college and then they got married, had children, and stayed home. Now, granted, there were many exceptions to that, and for me, I never intended that. I went to an all-girls school in New York City and couldn't wait to get out of that. My mother and others wanted me to go to an all-girls college, and I said, "No way, I've gotten myself into Radcliffe, I'm going there." So it was at that point in time that I made a decision to basically go to a men's college and fight my way. I actually thought we'd be more supported by Radcliffe, but I go back to reunions now and hear my classmates talk about some scandalous stories of lack of support for them. You know, a couple of them wanted to be scientists. "Oh no, girls don’t do that." So, it's an example of the kind of thing we had to deal with. In the church world, I did not choose the route of serving a church for multiple years. I stayed at Yale and worked with the theology and spiritual formation. I went around and ran workshops on various topics elsewhere. That was a different kind of ministry than the usual expectation on the part of people, but it worked out very well for me. But of course, traditionally, men had been the clergy people. Over the years, I've had to counsel many women on how to manage that or difficult relationships and just stand their ground. So by "bridge woman," we're talking about the expectation of my staying home and not doing much of anything, to my being fortunate to be ordained clergy and to have been a teacher of history and piano, and also trained as a pastoral counselor and administrator. So, I have managed, and I am very happy to be involved with music again, which is easier and a more fun way to live my life at the moment. How do you feel about the women's rights movement today and the progress it's made? Well, I think it's made tremendous progress. A number of years ago, to backtrack to when women started appearing at the divinity school on the faculty and then the administration, I knew a lot of women that I would describe as very militant. They were just focused on, "I want as many rights as I can get, do what I want to do, and I don't want to hear anything from anyone else that's negative about me or women." I did not think that was the way to go, but there were people like that. There still are. I saw that played out various places, not just where I was at school, working. Today, well, I think many of the younger women have no idea what us older women had to go through. I think often about how do we tell the stories or tell them what we've gone through, or how much of that do we really have to tell. These days, I see my daughter and also my granddaughter supported and free, for the most part, with what they do. But I still run into difficulties. Sometimes, I will find myself with a group of men who are telling stories. I'll be one of two women, let's say, in that group of about six or eight, and there's a story I want to tell. This has happened several times. The men stop, look at me; I have no idea what they're thinking, but I'm going to tell my story. I think several of them would have preferred, you know, that the woman there didn't tell her story. I've suggested to women the last few years to think about this, to practice telling stories and be sure your voices are heard telling stories. I think that's important. I think that women have come a long way. They're in all kinds of public positions and high-level positions, but there's still a certain amount of struggle out there and certainly justice needs to be done for women. We're actually reaching almost the end of our time here, so I wanted to ask you if there was anything that you really wanted to say or cover that we haven't quite talked about yet? I think about community. I think because my parents were so busy with the government commitments and the wartime, when I was growing up, that I realized early on that family was really important, and also community. Those have been commitments all my life. As I've talked about today, I think you can see it played out, including the family reunions and what I'd like to see happen with that and the family communication. I've started various programs. I've started the artist-in-residence program in a town in Connecticut in the public schools and private schools and felt that my interest in music and interest in community could be developed that way, that it could come together. I think music brings community together. I've been involved in starting a lot of projects here and there, over the years. I find that quite interesting, to get something up and running, and then move on to start something else. My commitment to family and community has been really important to me, and my own interests of reading and continuing to learn and give to others and help others has continued to be part of my commitment and who I am. I taught a course in evolution [she meant ecology] and spirituality and religion in Cooperstown, at the Presbyterian Church there. There's an environmental action group that's grown out of that now that I'm hoping is going to spread town-wide with the other churches. I find the Great Courses lectures to be very interesting, so I continue to keep learning and encourage others to do the same thing. So these are commitments I've had throughout my life. Well, thank you very much for sharing all of this with me. I really appreciate you taking the time. Amanda Berman, “Faith Carmichael, November 22, 2016,” CGP Community Stories, accessed April 25, 2019, http://cgpcommunitystories.org/items/show/267.